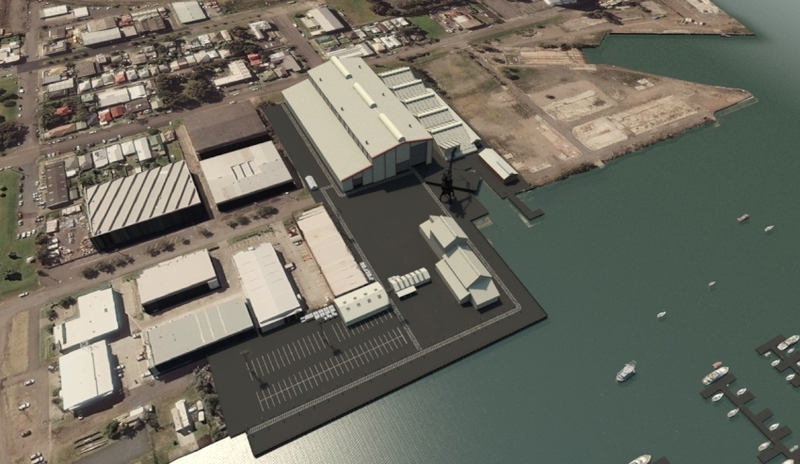 The NSW government has announced funding to help renew the Fitzroy Street Shipyard slipway to reactivate the Port of Newcastle and the Hunter as a major marine ship repair and maintenance precinct. Defence prime Thales Australia will contribute to the revitalisation, with the company working on stage one of a phased redevelopment. It is expected this will create an additional 70 new jobs. Deputy Premier and Minister for Regional NSW John Barilaro said the redevelopment will look to restore the region's history as a leading maritime hub. "This ship repair operation for a nationally significant facility will revitalise the Hunter’s proud maritime heritage and restore the port as a maritime hub," Minister Barilaro said. "The slipway upgrade will allow the port to handle bigger ships, attract skilled tradespeople back to the region and ensure naval maintenance work stays in NSW." Minister for Industry Niall Blair said Thales Australia’s plan for the area closely aligns with the NSW government’s Defence and Industry Strategy to build on NSW defence capabilities. "This will be a major boost for our defence and industry sector. Thales expects to grow local sub-contractor industries to support its maritime operations in the region," Minister Blair said. "The Fitzroy Street site will support ship docking, repair and maintenance work as well as engineering, deeper level repairs and maintenance." Thales Australia chief executive Chris Jenkins said the company has a long-term vision to establish a lasting ship repair and maintenance facility in the region. "Thales has successfully conducted ship maintenance, repairs and upgrades for Defence and commercial vessels for over 26 years at Garden Island," said Jenkins. "Thales’s heritage in marine maintenance and sustained engagement with local businesses puts us in a unique position to reactivate the site, creating a new east coast marine precinct at the Port of Newcastle." Parliamentary secretary for the Central Coast and Hunter Scot MacDonald said the project is a big win for the region. "Phase one of the proposed redevelopment involves the repair of the Fitzroy Street slipway to allow for ship repairs and maintenance on vessels from 20 to 55 metres in length and up to 1,000 tonne displacement,” Mr MacDonald said. "This will position NSW as a leader in maritime maintenance and drive economic growth in the Hunter." Port of Newcastle CEO Geoff Crow is optimistic the project with Thales will help grow and diversify the port and build on its rich history of shipbuilding and repair. "The Port of Newcastle welcomes Thales’s expanded presence, which fits well with our Port Development Plan and will benefit local skills, jobs and wider economy," Crow said. The news comes after Defence announced it had signed a $618,000 contract with Newcastle-based firm Armor Composite Engineering to provide a low profile body armour system, which could be used by personnel in close protection roles.